Although I only have a tripod pictured to the left, there are several items that professional photographer should carry with them all the time. And a tripod is just one of them. FYI, this is not meant to be a 100% all inclusive list. It is just some of the core items and meant to get you thinking beyond just carrying a body and a lens. If you pay attention to photographers Joel Grimes and Peter Hurley, you'll notice that they almost always use a tripod in every shot they take. 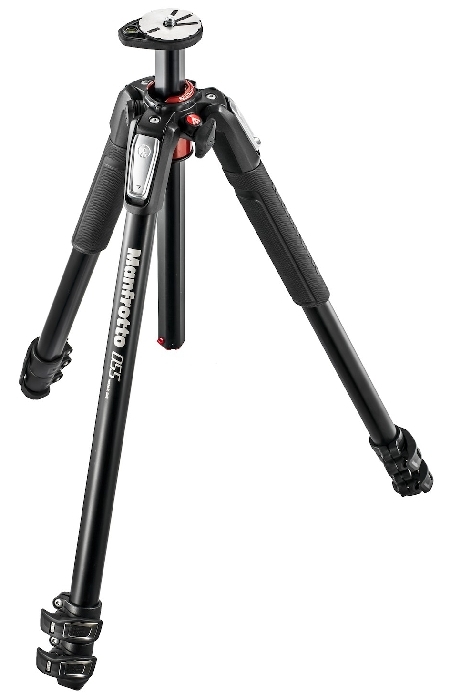 A tripod is still a fundamental piece of photography gear that every photographer should own. I'll admit it. I have a bad habit of not using a tripod as much as I probably should, but I have learned that I need to keep one with me at all times just in case something arises because there are times that a tripod is a necessity. Several other items that professionals should carry with them at all times are extra batteries, extra SD/CF cards, extra miscellaneous items like cleaning materials, cords (shutter release), etc., a speedlite (flash) and a backup camera body. Being old school, I still think you need a gray card in your camera bag. Although many of these items are self explanatory like back up batteries and cards, you may be wondering about the speedlite and camera body. Even if you are doing something that no extra strobe type lighting is needed, it is a good idea to have a speedlite with you in case something arises that you may need it for. For example, you are hired to photograph the outside of a building and that's the only thing the client said they needed. However, when you show up, they ask you if you can photograph Jane Doe sitting at her desk. Well the speedlite may or may not be needed for that shot, but it's good to have it with you just in case. If you are a full time professional or a photographer who shoots anything that cannot be conveniently rescheduled in case of an issue, you should either OWN or RENT a backup camera body for projects that you work on. Most new photographers will likely struggle with this one, but a photographer has ZERO business shooting a wedding (for example) if he or she doesn't have a backup camera body that is either owned or rented to cover the wedding. There are certain cases that you can just not say, "Sorry, we'll need to reschedule because my camera body is acting up."